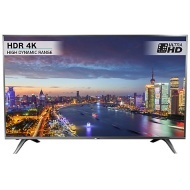 alaTest has collected and analyzed 194 reviews of Hisense H49N5700. The average rating for this product is 4.7/5, compared to an average rating of 4.3/5 for other products in the same category for all reviews. We analyzed user and expert ratings, product age and more factors. Compared to other products in the same category the Hisense H49N5700 is awarded an overall alaScore™ of 89/100 = Very good quality. fantastic tv with great picture.only thing i dont like is the stand.wish tv stand could stay in middle. Bought this tv about 6 weeks ago..love it..good picture,colour,sound..really pleased with it..